Engineering, detector support fabrication, procurement of cables and bulk materials, offshore installation of all material including those free-issued by the Client such as Fire and Gas panels and detectors, ESD panels, CCTV as well as scaffolding works, pre-commissioning and Commissioning. The installation includes changeover from the old ESD system to the new ESD system without shutdown (parallel changeover). 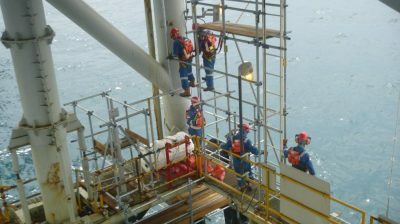 All installation works have been carried out at three offshore platforms located in the north java sea.